Jeans are an absolute American staple. 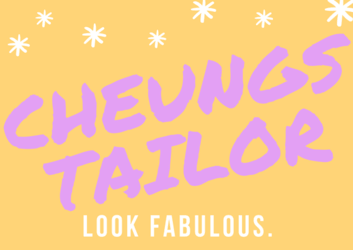 Fun fact, Cheung’s Tailor Alterations does upwards of between 500 to 1,000 hems a month! From original hemming know as an European hem where you retain the bottom stitching and washed look on your jeans to regular hemming in which we take up the hem and just do a top stitch. We also hem other things from sleeves, cuffs, dresses and more! Got new jeans? Well we’re all different in height so getting those jeans hemmed would help ensure a better length and look on you. There are couple ways to shorten jean bottoms. Here we’ll discuss regular hemming. Whether those jeans are a little too long or way too long we can help you. Because of how jeans sit on each individual’s waist line the length of the inseam may vary depending on how low the jean bottoms are from your waist to the inseam. So we always suggest clients to try them on. Even if they are the same brand and style. Reason being where they become manufactured a slight difference may be a big change in your inseam. When purchasing your jeans always check to see where they sit best on your waist, that would ultimately change where the hem is on the floor. From your waist, hips, to the rise in the middle. Jeans are generally sized from a ##x## meaning for myself that could be 30×28 meaning my waist is 30 inches and my inseam is 28 inches. *Stitching may vary on color, European hems are most commonly seen on Silver Jeans, Expensive Denims, Ralph Polo Lauren, True Religions – due to the look on the bottom and manufacturing patents following the exact stitching cannot be achieved. This is were the European hem would benefit in which we can retain the same look.